On April 13, 2012, I went to a restaurant in Chinatown with my buddy and lady. We ordered some food–fried noodles, tea, and fried shrimp. The shrimp’s eyes were huge. It was Friday the 13th, and there was a strange aura to Los Angeles. It was raining, which was rare, and there was even flooding in Orange County. Accidents were happening all over the freeways, and the strangeness was palpable. So I went home that night and wrote a poem about sitting that moment in Chinatown. 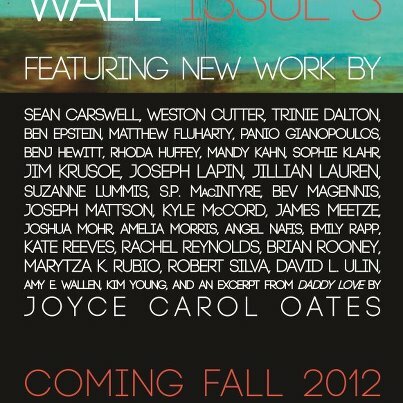 I was lucky enough to have that poem selected to be a part of Issue 3 of The Rattling Wall, which will be released in the fall. I am humbled and honored to be a part of an issue with such amazing writers.